If I drop my clothes off in the morning, when can I pick them up? At Drop Stores normal service is in by 9:00 AM. out after 5:00 PM. Orders brought in after cut-off time will be ready the next business day after 5:00 PM. All normally processed orders due on Saturday will be ready after 4:00 PM. Please remember that we close at 5:00 PM on Saturday. Please check our Facebook Page for holiday hours and service updates. The Downtown location is open from 8:00 AM to 6:00 PM and is closed on Saturday. Household and specialty items may require additional time to process. We are closed on Sunday. Running late or in a hurry? Our PLANT locations can have orders dropped off by 12:00 PM out after 5:00 PM the same day. Please ask if you need your order faster. We will try to accommodate you if at all possible, and at no extra charge. If you are in a real hurry, our PLANT locations offer a special 2 Hour Service until noon. Our PLANT locations are Florida & Hanna, and Ehrlich & Hutchinson. Can I get my cleaning done on Saturday? Yes, we are open for business and clean on Saturdays too. All orders due on Saturday will be available for pick up after 4:00 PM. Please remember that we close at 5:00 PM on Saturday. My clothes are expensive; will regular dry cleaning make my clothes last longer? Yes, dry cleaning removes sharp surface particles, which are abrasive to fabrics. Washing with water causes individual yarns to swell and then contract, which is a main cause of wear. Dry cleaning, however, is a surface cleaning process, which does not advance wear. Does it cost extra to have my business shirt buttons replaced? No, we stock custom buttons by the gross to match most all styles and colors. 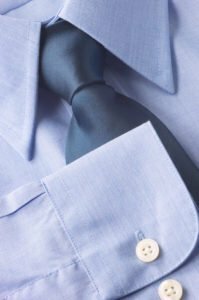 Our shirt laundry service includes button replacement when needed and complimentary collar supports too. Do you offer alteration and tailoring services? Yes, at all 21 locations. Call (813) 237-8861 to schedule a time and location for fittings. Does it cost extra to get same-day service? No, same day service is our standard—even on Saturdays! Do you have any drive-thru or curb service locations? Yes, most of our locations have been specially designed for this extra convenience. Please call on arrival if you need special assistance. How can I get heavy starch in my shirts? The largest factor in getting shirts to accept starch is cotton. 100% cotton blend shirts allow for the best starch absorption. The polyester or other synthetic fibers in blended shirts cannot accept starch, so that even a 15% polyester blend may not stiffen very much. Secondly, the heavier, oxford cloth type weaves allow for heavier starching than the finer pinpoints. Going on a trip and need your shirts folded? McNatt’s Cleaners specializes in travel-ready folded shirts ready to slip into your suitcase! Do you clean bedspreads, comforters, tablecloths and other household items? Yes, McNatt’s Cleaners can clean most all household items. Extra processing time may be required. Want better looking, longer lasting jeans? In addition to making them last longer, dry cleaning your jeans actually reduces fading and helps retain both comfort and fit. If I get a bad stain on my clothes, should I put soda water or hair spray on it? No, being very careful not to rub, just gently blot with a clean, dry tissue or absorbent cloth. Please bring the garment in for cleaning as soon as possible and try to keep the garment away from excessive heat, i.e. the trunk of your car, in order to help prevent the stain from setting in. Can you dry clean my fine silk and linen garments? Yes, McNatt’s Cleaners is a professional dry cleaning service and is famous for its expert silk and linen finishing. Yes, using specialized steaming and pressing equipment to make sure they are pleated to perfection. Please allow a few extra days processing time. Do you clean leather and suede? Yes, please allow for extra processing time, especially for smooth leathers. Do you offer wedding gown preservation? Yes, both wedding gowns and heirlooms are expertly boxed, sealed, and preserved. Please allow a few weeks processing time. Do you have any dress code or business apparel style tips? How often is your cleaning solvent sterilized? McNatt’s Cleaners uses the most technically advanced equipment, which actually distills the operating solvent during each and every cleaning cycle. Additionally, all of the solvent receives a second distillation on a daily basis. Payment options include all major credit cards, debit cards, cash or checks. Please note that any checks returned NSF will be electronically debited for the face value of the check plus a returned processing fee as allowed by state law. Do you offer pickup and delivery service? Yes, and our service area is growing all the time. To learn more, have a look at our Pickup and Delivery page. 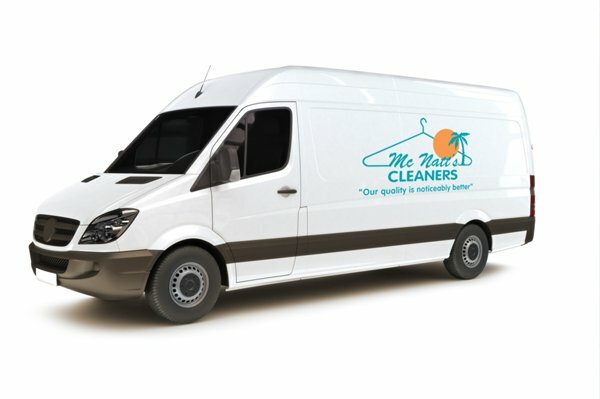 For professional dry cleaning services for your clothing or household items, contact McNatt’s Cleaners in Tampa, Florida to request a service. With 21 locations, we provide both convenience and quality for multiple services. We are proud to offer same-day dry cleaning Monday through Saturday, and for added convenience, many of our locations have drive-thrus. McNatt's Cleaners has provided Tampa, FL residents exceptional dry cleaning for over 70 years. Visit any of our locations for quick, friendly, quality service today. We appreciate your interest in McNatt's Cleaners in Tampa, Florida and look forward to working with you. For more information about any of our dry cleaning services, please click on "Contact Us". For additional information after hours, details regarding order completion and many of our services can be found in our "FAQs".